Well...this week didn't go as I had planned! But I think I've caught up on email and invoices, so now it's time to get back to sharing new projects! I have lots of new things to share with you. Thanks for sticking around! As quick side Note: I'm so sorry I missed posting a new Pocket Sketch Challenge this week. Watch for the winner from the last challenge and a new sketch to be posted on Wednesday. 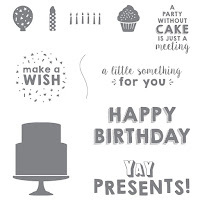 In the meantime, here's around card for my January Stamp of the Month Club series featuring the Party Wishes stamp set. I fussed with this card for awhile and ultimately decided that a smaller size (4-1/4" x 4-1/4" square) made sense for the stamped image that I was highlighting. What do you think of this card? Leave a comment and let me know! It's not too late to join my Stamp of the Month Club kit and get the materials to make this card plus two other designs. There is no commitment when you join my Stamp of the Month Club! I'll add you to my club mailing list and you'll receive one email each month revealing the stamp set and card designs. You can choose when you want to participate by simply replying to that email. Each month, I feature a different stamp set. 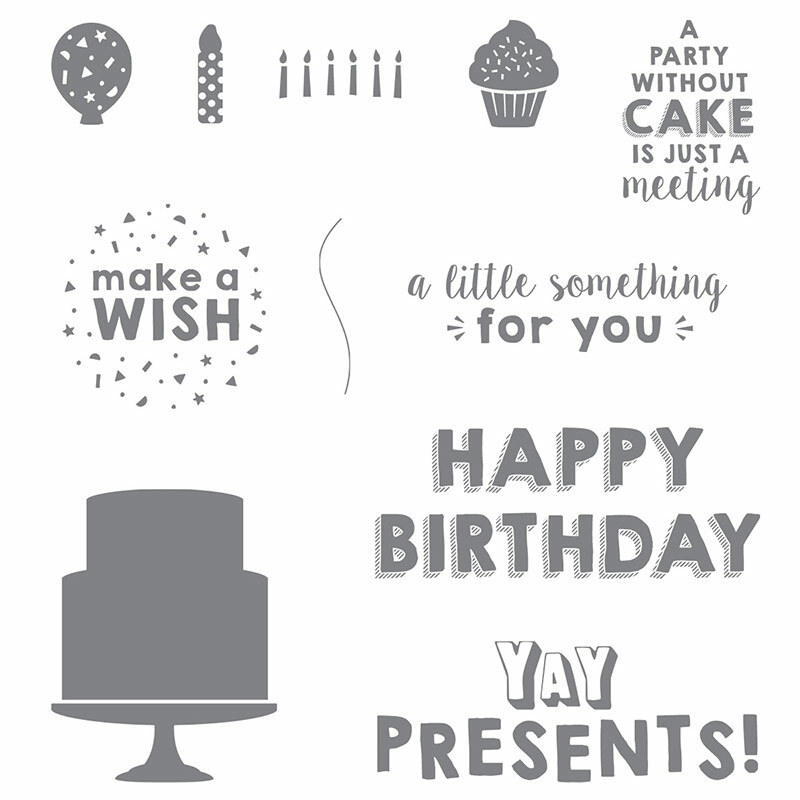 Those who participate in January will receive the Party Wishes Clear Mount Rubber stamp set (or substitute a different set), pre-cut materials to make 6 cards (2 each of 3 designs), printed instructions with a color photo of each card, and Priority Mail shipping. Click here to learn more about Stamp of the Month Club and sign up now to get the January package.